A home of your own complete with a white picket fence, the realization of the "American Dream." If you're unmarried, though, you might feel this dream is out of your reach. After all, aren't wedding bells supposed to proceed house hunting? Well, according to recent stats, there are many couples who are reversing the order of things and opting for home ownership before marriage. 2.Tenants in Common: This means that both of you own the property but in differing amounts. For examples, one partner might own 60%, while the other has 40% ownership. Keep in mind this will prevent your home from transferring in its entirety to a surviving partner should one of you pass away. Instead, the living partner will simply retain their percentage of ownership. To get around this, partners can "Will" their percentage to the other partner to transfer upon their death. If you choose to enter into a joint tenancy arrangement and your relationship ends, you are still both 100% responsible for the outstanding debt. Although you might not want to think about the "what if scenarios," it's important for you to choose a home you can afford to pay for on your own. This will also come in handy if your partner becomes ill or loses their job and is unable to contribute financially. You'll need to be sure and examine the importance of loan qualification, home inspections, and timing when it comes to buying a home for the first time. Home ownership is a grand adventure. One that also comes with many unexpected expenses. Just take a look at the true cost of repairs on HomeAdvisor.com for an idea of what you could be facing. However, by in large, the benefits of homeownership far outweigh the problems. Has talk of inventory shortages and rising home prices prevented you from getting out there and searching for your first home...or moving up to your dream home? Well, according to a recent report from Trulia, the tide is starting to turn, and conditions are becoming more favorable for homebuyers in many areas across the country, with the share of home listings with a price cut growing to its highest level since 2014. For much of the first half of 2018, the share of listings on Trulia with a price cut was largely unchanged from 2017, before shooting up in July and August. In August 2018, 17.2 percent of U.S. listings had a price cut, up from 16.7 percent a year ago. Coupled with home price growth that’s begun to slow, and inventory levels that are creeping back up in some places, a higher rate of price cuts could be a critical third confirmation that things may finally be shifting in buyers' favor, says Trulia Housing Economist Felipe Chacon. "Buyers should be encouraged by the signals we're seeing in the market," says Chacon. "But not all buyers will benefit equally, and it pays to do research on your preferred neighborhood. 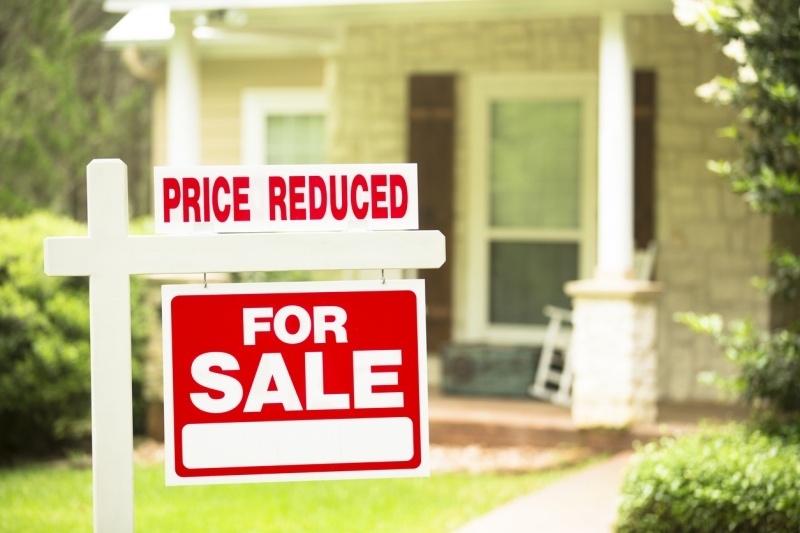 Price reductions typically aren't uniformly spread out across a given city. Our research shows that price cuts are much more prevalent in higher-cost neighborhoods." According to the analysis, of the top 100 metros, 63 had a higher share of listings with a price cut this August than last August—and some of the priciest and/or fastest-growing markets experienced the biggest jump. In fast-moving Las Vegas, for example, the share of listings with a price cut rose from roughly one-in-eight a year ago (12.6 percent) to more than one-in-five currently (20.8 percent)—the largest percentage-point jump among all metros analyzed. In San Jose, where the median home is worth more than $1.2 million and home values are growing more than 20 percent year-over-year, the share of listings with a price cut in August more than doubled compared to August 2017. While increasing price reductions is welcome news for most, not all homebuyers are likely to benefit equally, says Trulia. In 79 of the largest 100 metros, a higher share of homes listed in more-expensive neighborhoods are experiencing price reductions than those listed in less expensive areas. And although the report points to more price cuts nationwide, the reductions themselves are getting smaller. For the 12 months ending August 2018, the median price reduction nationwide knocked 2.6 percent off the listing price. This has been declining steadily since 2012, when the median price reduction was 4 percent. The median value of a price reduction today is less than the median price reduction at the outset of the recovery in 97 of the 100 largest metros analyzed.